Mitriostigma isn’t a gardenia but it sure has many of the famous plant’s attributes. Mitriostigma gardenia plants are also known as African gardenias. What is African gardenia? An ever blooming, fabulously scented, non-hardy houseplant or warm climate patio plant. If you are looking for consistent lovely blooms, evergreen, shiny leaves and fun little orange fruits, try growing African gardenias. A very unique and fairly hard plant to find is Mitriostigma axillare. This plant can become a small tree in its habit but is a small bush in container situations. One of the most important things about caring for African gardenias is their intolerance to soggy soil. These plants also prefer indirect light or even partial shade since they grow in forested areas where taller plant species dapple the light. African gardenia is found in coastal and dune forests from the Eastern Cape to Mozambique. This evergreen shrub has grayish brown bark with green markings, arrow-shaped glossy leaves, and the much praised 5-petaled white scented blooms. 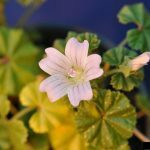 The one-inch flowers densely pack the leaf axils and may be present much of the year. In fact, the latter part of the scientific name, axillare, refers to the location of the flowers. Spent flowers turn into a smooth elliptical berry with an orange rind-like skin. 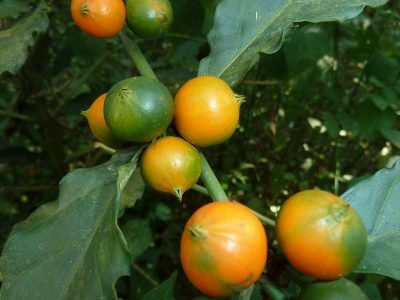 The fruit lends another name to the plant, dwarf loquat. Mitriostigma gardenia plants are hardy in United States Department of Agriculture zones 10 to 11 but are perfectly suited to the indoors or in a greenhouse. African gardenia can be hard to get your hands on. It is not widely available in nursery catalogues, but if you do run into someone with the plant, you can start your own with summer cuttings or ripe fruit seeds. Collect seeds from orange healthy fruits and plant them immediately in a moist flat. Transplant seedlings when they are several inches tall. Fertilize with liquid food at every watering and keep the plants in moderate light. The cuttings should be inserted into a pot with sterile compost, kept moist and in indirect light. 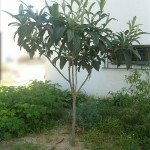 Usually, the cutting will root in about 4 weeks and can then be transplanted and grown on using good African gardenia care tips. Mitriostigma does well in good purchased potting soil mixed with some sand. If planted in a container, make sure there are good drainage holes. If planted in the ground outdoors, amend the soil with plenty of compost and choose a location with shelter from noon time sun. Pick its location wisely, as African gardenia produces a large taproot which makes relocating the plant difficult. African gardenia care should include feeding with liquid plant food at every watering from spring through late summer. Move plants indoors in cool climates by early fall. In the winter when the plant is blooming, feed once per month with a high phosphorus plant food. Be sure to leech to soil often to prevent the buildup of fertilizer salts. 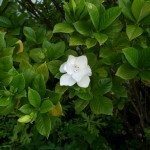 Caring for African gardenias is quite easy, as they don’t have any significant pest or disease issues. As long as you keep the soil a bit on the dry side and protect the plant from harsh sun rays, you will have a long lived scented bloomer in your home or landscape. Read more articles about African Gardenia.